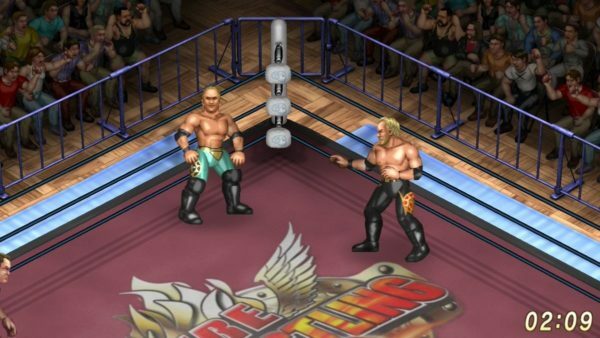 Fire Pro Wrestling World is the 39th game in this 2D sports series. Spanning across 12 different platforms. The name Fire Pro Wrestling may not mean much to a majority of North American gamers, but in Japan and to a niche group of passionate players, the name signifies the very best in the genre. Since it’s inception in 1989 (for the TurboGrax-16), the series has been coveted for its deep level of customization. Especially during the 1990s and 2000s, where nothing else available could rival it. This led to the aforementioned passionate fans forming a rich online community of creating wrestlers. Not to mention, playing and simulating classic and current matches as well. Although this is my first time playing a Fire Pro Wrestling game, I have been playing pro wrestling games since the WWF Wrestlemania game for the arcade. 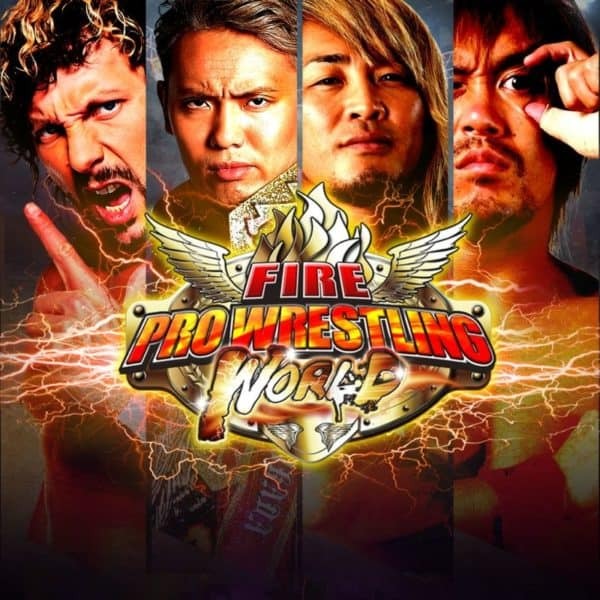 I actually had not even heard about the Fire Pro games until New Japan Pro-Wrestling began promoting it when it released into Early Access on PC last year. After spending more than 50 hours with FPWW, I can safely say this may just be one of my favorite games ever made. This being my first time playing a Fire Pro game, I thought I could hop into a match and just play like I would any other wrestling game. Boy was I wrong. The AI destroyed me in minutes. For the next hour, this kept happening. I looked up the controls and I still was not getting the hang of it. For a good while I absolutely hated this game. After I put the game down for a bit, I calmly came back to it, hoping there was a tutorial. Eureka! Thankfully, I found my savior AKA Mission Mode. If you are new to the series, Mission Mode is a must. I cannot emphasize this enough. In this mode, the game presents you with scenarios in which you have to complete to get to the next one. What is brilliant about this, is these missions slowly teach you everything you need to know to be successful in FPWW. It introduces different matches, ways to win, and forces you to use different methods of attack that a player might normally not use. The first six missions are tutorials on the basics of the game. It ranges on how to perform grapple moves to how to attack downed opponents. After you graduate from the basics, there are 50 missions with different stipulations. My only knock on the mode is that you don’t get to use NJPW fighters, just created wrestlers that come with the game. For the most part, matches in FPWW are way different than in the WWE 2K games. Some similarities do exist but only in the most basic sense. There are still mapped weak, medium, and strong attack buttons, and you still use them in stages from weak to strong, but that’s about it. Fire Pro doesn’t even have a grapple button. Wrestlers just automatically lock-up when they meet and then it becomes a game of who can input the moves first. A big difference from the WWE games is that the screen is pristine. All you see is the ring, the wrestlers, and the time of the match. There’s no HUD, stamina status, or energy bars. 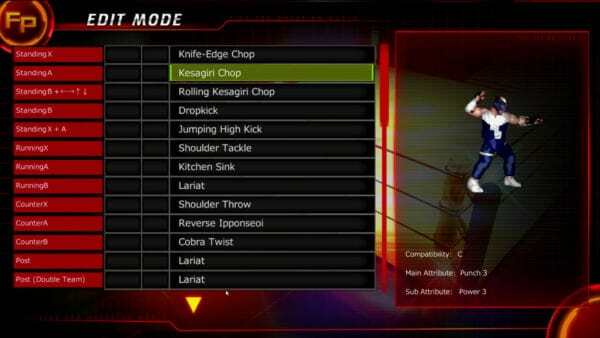 Instead, Fire Pro uses visual cues. Understanding what’s happening to you and your opponent in a match is vital to succeeding. The longer the match goes, a wrestler’s posture begins to change. They move more slowly, take longer to get up, and hunch over. So you have to learn to let your wrestler breathe and have moments of rest. Also, finishers and four signature moves are available at the outset of a match. So, technically you can use them at any moment. The thing is, if you hit it too early, or spam them, you will tire out your character very quickly. Making it much easier for your opponent to dominate a match for a long period. Thus making it harder for you to make a comeback. Matches are also rated in Fire Pro, so spamming moves gives your match a lower score than one that takes its time in building up to big moments. 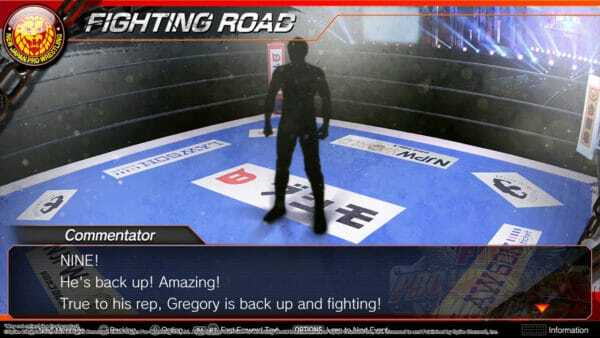 For some matches in Mission mode and Fighting Road Mode (more on this mode later), you have to get a certain rating. Regardless if you win the match, if you have a bad outing you will actually “lose” the match. That is why it’s important to use various moves, taunts, and even let your opponent get moves in. The fighting is not perfect though. For some reason picking up weapons is mapped to the same button as running at your opponent. Normally this is not an issue, but in barbwire matches it becomes very annoying because you get injured every time you run into the barbwire. I could not figure out how to reverse moves. Supposedly it is automatic but I could not confirm that. Turnbuckles moves never worked but I blame that on myself. The worst aspect of a match is striking. It’s a chore trying to line up the characters to strike an opponent. I barely ever land strikes in matches. 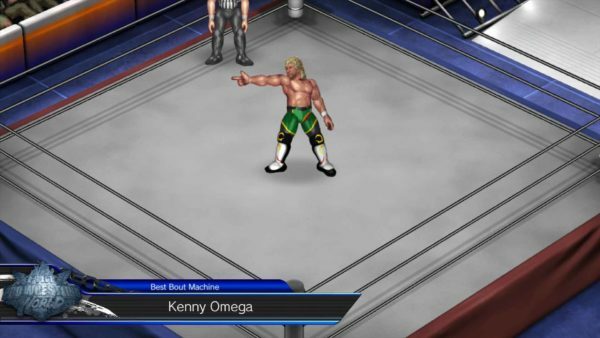 For the first time in the series, FPWW is connected with an actual wrestling promotion in NJPW. This was the mode I was looking forward to the most. And it lived up to all my expectations and more. You start off creating a character and try out to become a Young Lion (a rookie wrestler). From there you begin your long (and I mean LONG) journey into becoming a NJPW main event player with the hopes of one day fighting for the IWGP heavyweight championship. Along the way you run into all of your favorite NJPW wrestlers such as Hiroshi Tanahashi, Tetsuya Naito, Kazuchika Okada, and Kenny Omega. Your created wrestler starts off with access to a small number of moves. You “earn” new moves the further you get into the mode. Kind of like how Young Lions earn the right to do more moves in NJPW. You also earn points to improve your wrestler and make them into any type of wrestler you desire. One neat feature is that the game has the actual results of the 2017 PPVs integrated into the game. For example, after you wrestle your match at the NJPW Dominion event, a small highlight is shown of the Okada vs Omega 1 hour draw. It is a great way to get new fans into actually watching the promotion. I was pleasantly surprised how deep and long Fighting Road is. At the time of this writing, I’m probably about only halfway into it, and there’s a long way to go still. There are various match types that range from normal to ludicrous. Of course, there are normal, cage, battle royal, and tag matches. 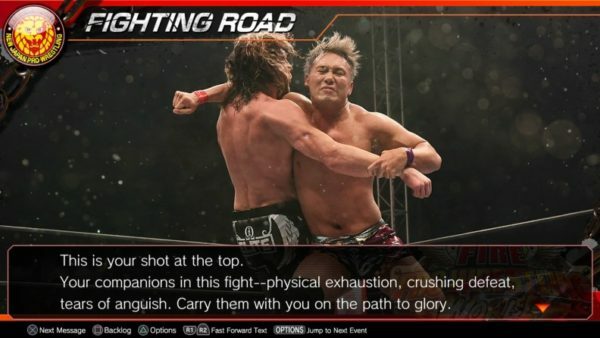 Modes you would see in any other wrestling game. Then there are modes like the Barb Wire Deathmatch where you can set up timed bombs in the ring. If you want the bombs outside, well there is also a Landmine Deathmatch. If you are an MMA fan there’s also the SWA Rules match, which includes rounds and TKO rules. Plus, there is also Gruesome Fight which simply means you fight in a Dodecagon (12-sided) ring. Regardless of what match type is chosen, you can control every aspect of the match to include a strike only mode, first blood etc..
All of these match types are fun except tag matches. They are the absolute worst because you can’t control your tag partners. Now in a regular 2-on-2 contest, it is not so bad because your partner eventually tags you. But in a 6 or 8 man tag, once you tag out, you might as well put the control on the ground and hope your partners win. It is very frustrating to say the least. The game says there is a tag button, but its really a “please tag me if you want” button. Much like the WWE games, the edit mode is a huge driver for the series community. I was amazed by how detailed edit mode is. This is where you create wrestlers, rings, title belts, and even referees. Not sure why people would want to make refs but if you ever wanted to have Mike Knox from Pro-Wrestling Guerrilla or Todd Sinclair from Ring of Honor ref your matches, well your time has finally come! Making any wrestler you can think of is not even the most impressive part. What blew my mind was you can modify a wrestlers logic and parameters. This means you can determine how a wrestler acts in the ring when the CPU controls them. For example, if you create Sting, you can have him do howl and then do his finisher. Other parameters that you can control are; how often they use a move, percentages for the use of moves and how they would act under what circumstances. It is because of this mode a big portion of the FPWW popularity is simulating matches. Downloading and uploading characters is also very popular with the community, and is extremely easy to do. Just connect your PSN account to their site and boom you are done. You can download your favorite created wrestlers from any device such as your portable devices and computers. I spent a good hour or so downloading some of my favorite wrestlers such as Pentagon Jr., AJ Styles, and The Great Muta. Just throw the whole online mode in the trash. I tried a dozen or so matches and never had a pleasant experience playing it. All of my matches had a second button delay. In a wrestling game, especially this one, that delay means everything. I didn’t even care about actually losing, because I really just wanted to see if I could get high rated matches. But, the button delay made that impossible. This appears to be a common problem with other players as well. Maybe it can be fixed with patches and updates. This is the biggest elephant in the room. People are either going to be put off by the graphics and give you the typical “I am going to need the graphics to join us in 2018” response, or you are like me and don’t mind it. I have seen gameplay of when FPW attempted to jump into the 3D world, and honestly, it looked bad. Personally, I love the look of the wrestlers. It makes the game stand out in its own way. Overall Score: 8.0 out of 10 I am thankful to finally have an official NJPW wrestling game you can play in the West. Not only is it fun, but also brings a lot to the table. In a perfect world, the game would force new players to play Mission Mode because that may make or break this game for you. I really hope that those that are on the fence give FPWW a chance. If you can get past the graphics it is an experience that no other wrestling game has ever recreated. This game was reviewed using a digital code provided by Spike Chunsoft.